This week we got the sad news that Fred the Golden Eagle has disappeared in suspicious circumstances in the Pentlands Regional Park. On the one hand this is just another raptor on an ever-growing list that have disappeared on intensive grouse moors. But on this occasion, it’s more than that. The Pentlands are a Regional Park located just a few miles from Edinburgh. 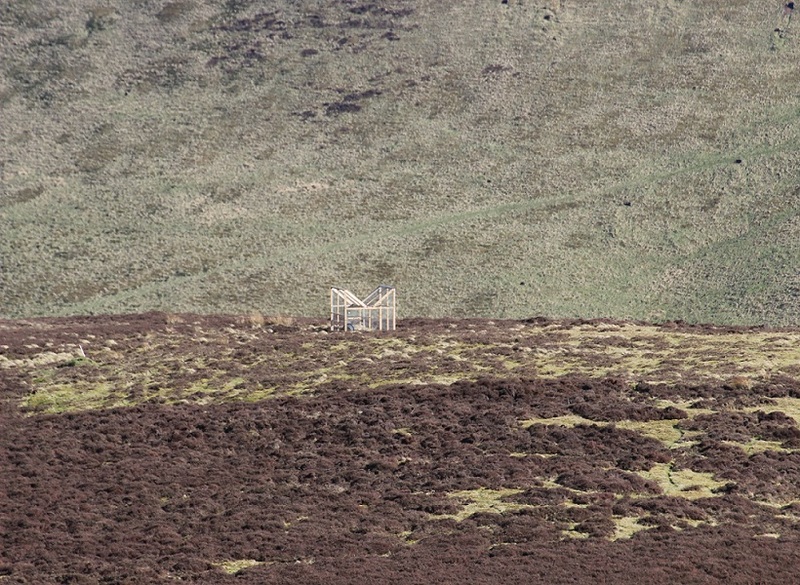 The Northern ridge is a familiar sight for Edinburgh-ers (if that’s what we’re called? ), visible from much of the city. They lend a great atmosphere to the city and are a beautiful scene, particularly capped in snow as they are now, until you visit them. Sadly, up close the intensive moors of the Pentlands are a sorry sight. 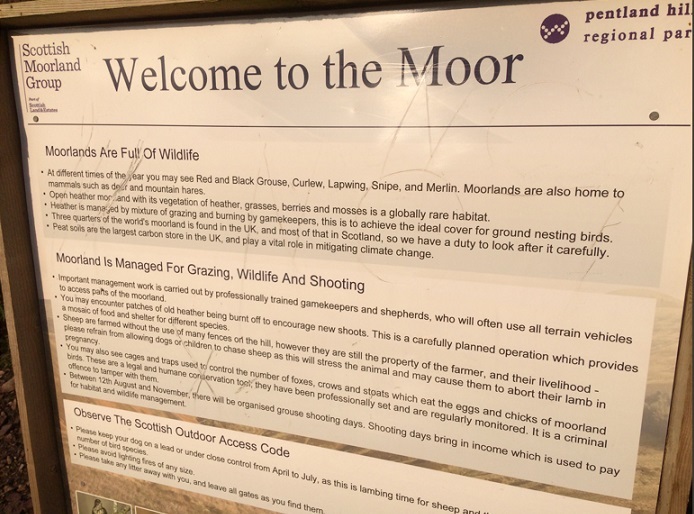 Go for a walk there and you’ll be welcomed by this patronising bit of propaganda that informs you that “important management work is carried out by professionally trained gamekeepers” and then goes on to justify trapping and shooting on the grounds that it pays for “wildlife management”. A circular and deeply misleading argument. Let’s look at what is meant by professional wildlife management. First of all the burning, which maintains the heather monoculture and keeps the ghastly trees at bay. It forms this ugly patchwork of heather that has become all too common in Scotland’s uplands. Then there’s the trapping. 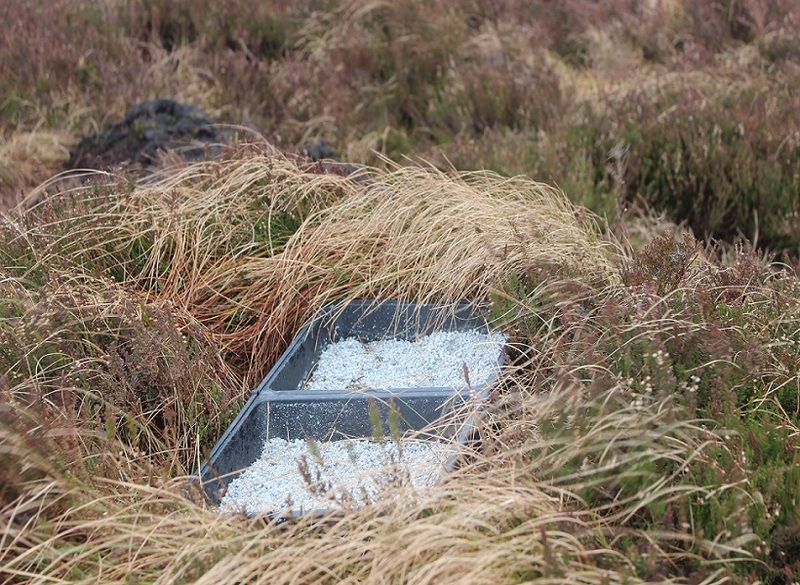 Stoats, weasels and foxes are killed to prevent them from predating on grouse. Crows are trapped in large numbers in cages like these and then bludgeoned to death. And of course there’s the mass medication. It would be hard to sustain such high densities of grouse without learning from the intensive farming playbook. And now it appears that this “important management work” may well involve the killing of raptors like Fred. I think it’s hardly a surprise to regular visitors to the Pentlands though, given the intensive management that has become routine in the Park. All this just to produce as many red grouse as possible so that they can in turn by shot for ‘sport’. Some have responded with calls for licensing of grouse shoots. The theory being that the threat of losing the licence would be a sufficient deterrent to would-be raptor killers. Fair enough, I agree it would be a step in the right direction, but I hope that this will lead to far deeper questions. 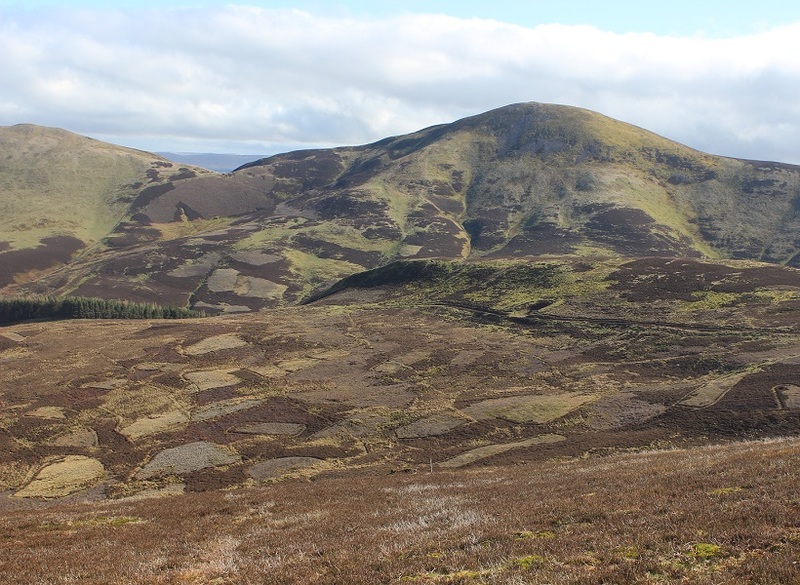 Most fundamentally, why are the Pentlands dominated by grouse shooting interests, to the detriment of the public interest? And how has this become so engrained that the Pentlands Regional Park, which is run by and funded by Edinburgh Council, is sitting back and doing nothing. Worse, they’re lending their good name to green wash like these sign posts. As a start, I think it’s time they replaced these. More useful would be signs asking visitors to look out for wildlife crimes and report suspicious activity to the Police. That at least might help prevent another tragedy like that that has befallen Fred. Shocking reading, and thanks for making this public knowledge. ‘Operation Owl’, an initiative seeking public help with preventing wildlife crime was launched today in Yorkshire. As you say, we need something similar here, not mere handwringing. This is horrible! What a screwed up way to treat wildlife!! They need to have accountability for what’s happening there! If it’s a Public Area, why do they allow grouse shoots tobthe detrement of other wild life. Its up to the people of Edinburgh to deal with this, with the backing of people from other areas, myself included. Grouse moors are an environmental disaster and the entire ‘sport’ should be banned. Trouble is they are generally owned by those who are above the law – blame, in the unlikely event of a anyone being caught doing something illegal. is likely to fall on the gamekeeper. Firstly, any gamekeeper caught killing a protected species should be banned from this line of work for ever, secondly there should be such a large fine for the owner, that shooting would no longer be seen as a highly profitable business. Not sure the people of Edinburgh would take kindly to being indirectly fined through their taxes were a perpetrator caught.